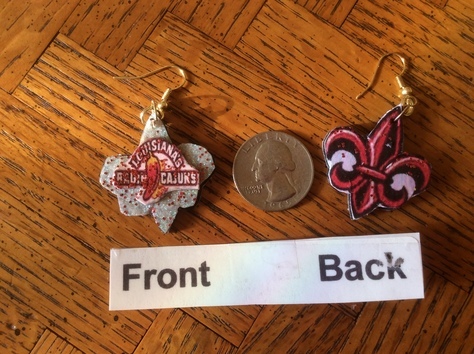 WITH DOUBLE SIDED EARRINGS... SO "HOT"
PROFITS TO CANCER RESEARCH. THANKS ALL YOU CAJUN FANS!